Steve Reich: Music We Love To celebrate the composer's 75th birthday, we've invited musicians who have collaborated with Reich as well as NPR friends to reflect on the pieces they adore. Steve Reich turns 75 years old October 3, and such a birthday calls for major celebration. Despite the obvious truth the calendar provides, it's incredibly hard to square the ever-youthful Reich, as a composer and as an individual, with such an august anniversary. His recent work — from the emotionally charged WTC 9/11 to the chiming electric guitars of 2X5 — is as profoundly innovative and fresh as his It's Gonna Rain. Reich's landmark tape piece from 1965 turned the shouts of a San Francisco street preacher into a mesmerizing canon that absolutely catalyzed musical expression. At this point in his life, Reich has moved from deflecting the derision of the musical establishment to receiving a Pulitzer Prize for 2009's Double Sextet. And perhaps no other composer has had such a profound impact on popular culture. Reich has been idolized and emulated by everyone from Brian Eno to Sonic Youth to Sufjan Stevens — and electronica arguably wouldn't exist as the genre we know if it weren't for Reich's work. We've invited an array of Reich-heads — friends from NPR member stations, NPR Music folks and some extraordinary musicians who have worked closely with the composer — to reflect on his music. Which of Reich's pieces has had the greatest impact on you? Join the conversation in our comments section. Listening to It's Gonna Rain takes me back to my adolescence in the Bay Area of the 1970s, when I spent much of my spare time listening to repetitive, grainy electronic music in the basements of my socially challenged but technologically brilliant friends. 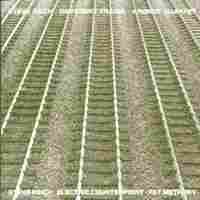 It's Gonna Rain, from 1965, is the piece in which Steve Reich discovered the process of phasing. As you listen you can sense Reich capturing lightning in a bottle. We hear those three words in Brother Walter's dynamic lilt repeated over and over again, overlapping with itself, constantly creating new rhythms, melodies and harmonies, all stemming from the natural cadence of the human voice. We hear the roots of so much of what is to come in music, not only in Reich's own work but also in electronica and even hip-hop. And we hear a passionate shout-out to the countless lonely nerdy guys that came in his wake who spend hours fooling around with electronics and marveling at the happy accidents that occur. These are the guys that have changed the world in the last 46 years, and Steve Reich is one of them. Three humbling things I learned from Piano Phase: Repeating a simple twelve-note fragment with unwavering accuracy for twenty minutes is a soul-crushing challenge; complex, innovative and often transcendental effects can be achieved with the most basic musical building blocks; and never underestimate the mind-bending complexity of playing "in time." There is literally nothing like performing Piano Phase. 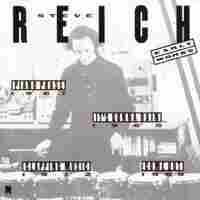 Even among the works in Reich's own oeuvre there isn't a rawer or more concentrated experiment in live phasing, a technique that progressively slides one segment of music overtop another identical segment by one increment of rhythm, previously explored only in Reich's 1960s tape pieces. It was with Piano Phase that Reich's slightly mischievous, extraordinarily risky, but artistically essential experiment was tested: Can two humans execute a technical challenge that is usually performed by a machine? The answer — embraced by those of us who have had the experience of performing this work only after being faced with existential and often humiliating questions about our musicianship — is yes. For me, despite its groundbreaking, pioneering status, I just love how musical this experiment sounds. How it elegantly blurs the line between rigorous process and extra-musical, almost meditative, experience. How it generates a trembling, resonant halo of sound from extremely economical means. How it "snaps" into focus with a new groove, a new color, only to gradually (but methodically) dissolve like a radio station exiting its coverage area. I love its willingness to be all or none of these things. In the late 1980s, I was a high school student whose only real access to new music came on Saturdays. During breaks between rehearsals at Boston's New England Conservatory, I'd run down Comm Ave. to Tower Records, where I'd tear through the bins to find whatever the Nonesuch label had just put out. 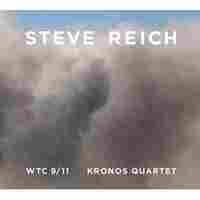 It was on one of those Saturday afternoons that I first encountered Reich, via the Kronos Quartet's recording of Different Trains, and I fell in love instantly. I don't recall when exactly the first time was that I heard Drumming, but what I do know is that this one piece melded many different streams in my life. I was a kid with a funny name and what seemed to strike others as an unpleasantly foreign family background; couple that with the usual adolescent angst, and I felt like an entirely lesser being. The Middle Eastern music that I'd soaked up growing up, and the sounds of South Asia and Africa that interested me more and more, didn't rank at all in the musical hierarchy I was learning at desks and in practice rooms. But the exuberant, hypnotic and totally ecstatic percussion of Drumming — with its indebtedness to the Ewe drummers of Ghana with whom Reich had studied — somehow unlocked a door in my mind. You didn't have to construct walls between styles or places, and calling upon those sources didn't have to be in self-consciously "exotic" dollops; instead, it was a natural and organic part of the piece. This music proudly stood on its own feet, an original, and so could I. When I first heard Six Pianos it was like flipping a switch. Everything paused in a moment of sensory realignment just before the gathering energy broke free and leapt forward with precarious momentum. It was like looking out of the window of a train that is hurtling through the countryside: Distant utility poles inch closer only to rush madly by with metronomic regularity; your eye traces the liquid undulations of electrical wires; your mind attempts to reconcile the breakneck speed with the cradling comfort of a relatively static cabin. Six Pianos is awash in almost 20 minutes of vertiginously beautiful motives – frantic, obsessive, pulsating, desperately centrifugal – that emerge, approach, blend and disperse. It's an unapologetic tear through the everyday that gathers all into its wake. It buoys me with an unstoppable feeling that chaotic external forces could be disciplined by sheer force of will. And then just when you think you've slipped into complete sympathetic resonance with its relentless percussive motion... it stops. This work, a precursor to the famous Music for 18 Musicians, is taxing. Reich expounds upon its seemingly simple patterns, augmenting them through time and musical space while maintaining an outer shell of calm. But this isn't what moves me most about the work. This particular recording and its cover photograph inspired me at a particular time of my life. I was a senior in college, studying music and philosophy, heavily involved and heavily stressed. Having just returned from a summer away in Montana, the only remedy for the stress was a mental transcendence back to the mountains and the Big Sky. 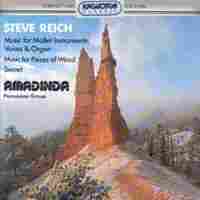 Around this time I was also studying Asian philosophy and its concept of mindfulness, and through that, indirectly, found myself burrowing deep into the music of Steve Reich. His music offered a trance-like "mindfulness" in contrast to my otherwise chaotic life. The album cover — snow dusting exotic land in the Western U.S. — brought me back to Montana. The music centered me and I couldn't quite explain why that was. This piece, among others by Reich, got me through my senior year of college, saving me through its calm, open and trustworthy music. Life is overwhelming. We're bombarded by the "now" every minute, expected to react within moments for fear of being left behind. This can happen with music, too, to the point where the sounds run together (and not in the pleasantly assaultive Cage-ian way). When I need to step back and remind myself why I love music, I listen to Music for 18 Musicians. I cannot speak academically to its score or explain its historical significance in modern composition, but to me, one of Reich's most renowned pieces is a joyous funnel in which those overwhelming bits of the everyday find harmony and rapturous counterpoint. Within minutes of sitting between two speakers blasting Music for 18 Musicians, I am in a renewed state, so incredibly happy that music exists. My mother's parents were Roman Catholic and my mother is Episcopalian — and when I was 18, I converted to Judaism. (This wasn't a stand-alone act of rebellion: My grandparents loved the Orioles, my mother the Red Sox and so I, at around age 12, voiced my support of the Yankees). At around the same time that I was taking conversion classes, I discovered Steve Reich. Tehillim, I later learned, was the first piece in which Reich embraced his Jewish roots. The rhythms to which he sets some of my personal favorite selections of the Psalms, the Tehillim, are tribal and urban, a symbol of a religion that is full of ancient mysticism and modern sensibilities. So much of what we hear in Jewish music are minor chords and diminished scales — which I also love beyond words — but the sheer exuberance in the first movement fits Psalm 19:2–5 like a bespoke suit, while the churning pulse of the third movement twists around coils of Psalm 18:26–27 ("With a kind one, You show Yourself kind, with a sincere man, You show Yourself sincere. With a pure one, You show Yourself pure, but with a crooked one, You deal crookedly") with hypnotic flair. It was this music that washed over my mind when I entered the mikvah waters and emerged a Jew. We invited Steve to MIT, where I teach, in 1995. I put together a group of 14 clarinetists – all students except for me – to play New York Counterpoint. It was typical MIT – electrical engineers, biochemists, etc. The soloist was Eran Egozy, who later went on invent Guitar Hero and Rock Band. We prepared for months, learning every pattern from every angle. Steve had never heard the piece done with live players, and when he walked into the small rehearsal room – sound bouncing off the walls – he just started beaming. After the concert he mentioned that he still hadn't recorded the piece for Nonesuch – i.e., with a single player multi-tracked – so I asked him to consider me. He said, 'send me a demo tape.' After I did he left me a very short voicemail: "You got the job." Thirteen years later, he gives his new piece 2x5 to the Bang on a Can All-Stars – at long last, our own Reich piece – but it doesn't have a clarinet part. We were between pianists at the time, so I volunteered. He didn't believe I could play piano, so he made me make another demo tape! And for the second time, I got the job. Writers love to call music cinematic, but this piece really is. Snippets of taped interviews with Holocaust survivors make melodies for strings that chug along against a background of urgent train whistles and sirens. The wail of a European train in the middle movement is one of the most chilling sounds I've ever heard — a tortured scream, a reminder, a warning. And as a part-time autobiographical monologist, I love that Reich used his own childhood as a point of departure for a much broader story about World War II. This music is unforgettable, as it should be. As a string-playing conservatory undergrad, I didn't have much personal exposure to Steve Reich's music. My friends in the percussion department would chat up the composers about phasing and metric modulation and pulsing, and I was off on my little Hindemith-y viola island, occasionally hearing vague strains of Vermont counterpoint emanating from flutists' practice rooms. I got a chance to play Steve Reich's Triple Quartet late in my undergrad career, and it completely blew apart my concept of quartet playing, of articulation, of balance, and even what a string quartet could be. 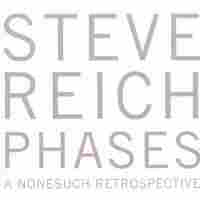 Its yearning, unresolved, repeating chord structures and interlocking rhythms immediately attracted me, and the deeper I dug into Reich's sound world, the more obsessed I became. 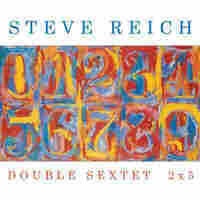 Triple Quartet was my Steve Reich gateway drug, leading to my completely devouring every work of his I could find. I love that the piece has no programmatic agenda; it's just super-gorgeous and super-satisfying. It's no secret that Steve Reich is one of those few composers who changed the way we listened to, well, everything. It's also no secret that the pop and rock worlds have been undeniably altered by his explorations and creations. From King Crimson and Brian Eno to Tortoise and Sufjan Stevens, his influence is palpable. As one who has played Reich's music concentratedly for over twenty years, and one for whom Reich is my most profound influence, it gave me great pleasure to see him write his own "rock-n-roll tune" in 2 X 5. Written for a double rock combo, Reich owns it all in this piece, from the timbres to the groove, to the very visceral feeling that emanates from that music. From a man who altered the course of musical history, 2 X 5 is the ultimate success in decimating the line between these two great genres, a foundational goal of my generation. That success can be heard in the Nonesuch recording featuring rock luminaries, and in the many live shows at which I've been present where the Bang on a Can All-Stars, classical music's ultimate rock-n-roll band, have lifted it to the skies. It's ecstatic, it's fun, it's serious, and it's transcendent — everything I wish for in music, except for one thing. From experience I can tell you, the only thing better than listening to this man's music is playing it. These days I find myself wishing my guitar chops were up to the task. Steve Reich's ability to create ecstatic rhythmic textures is well noted. The way he used percussion instruments to achieve this in landmark pieces like Drumming, Music for 18 Musicians, and Music for Pieces of Wood changed the way they function in our musical culture. I'm also very interested in how a composer creates spaces of vulnerability, tranquility, or repose. Traditionally, percussion was rarely the medium for these moments (though Mahler and Debussy had some nice ones). 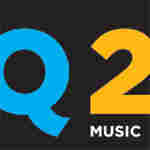 In 2009, So Percussion was one of four groups that commissioned his Mallet Quartet. I trembled with excitement the first time I popped the MIDI realization into my laptop and opened up the score. The first movement didn't disappoint: Facile canons, interlocking grooves, playful ambiguity; everything I love about his music was there. But when the bottom dropped out and the middle movement began, another thing happened ... it was like somebody had taken Steve Reich's music and stretched it out over a very thin frame. He later remarked that he wanted to see "how much I could take out before it fell apart." The music is achingly beautiful. When I listen to it, I am grateful. For this composer, our instruments are not part of "the old exoticism trip." They are home. 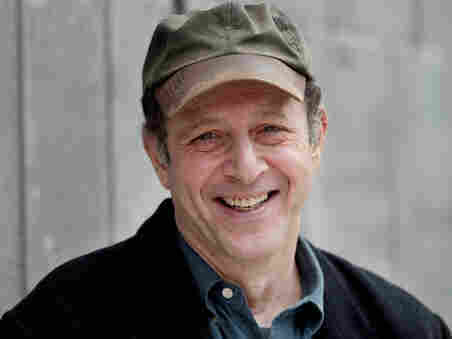 Steve Reich has defined new parameters in music with each of the three works he has written for Kronos. First there was Different Trains. Everything about Different Trains caused us to rethink our work. Because there were four entirely composed quartet parts in Different Trains, three which we played the solo part to, we had to record the CD before we ever performed the piece. Voices from the Holocaust became a regular part of our concerts.The speech rhythms and melodies of the survivors etched their way into an entire generation of listeners. The string quartet genre became a witness to events it had never been able to consider earlier. We needed our own sound engineer in order to tour with Different Trains. All Kronos concerts became amplified and we got very familiar with microphones, speakers and sound checks. After hearing Different Trains, composers from all over the world suddenly had permission to bring issues and sonic elements of extraordinary variety into our work. And American music had another great train piece along with the folk tune "Orange Blossom Special" and Harry Partch's US Highball. In 1998 Steve wrote Triple Quartet. How many works are there that have the power to begin a program, end a program or conclude the first half? The driving, vital pulses of the outer movements of Triple Quartet frame the Perotin-inspired middle movement. Bartok, Schnittke and maybe even klezmer music are heard as influences but the voice is unmistakably Steve's as he stretches his harmonic realm. The optimistic ending of Triple Quartet leaves you breathless every time. And now Steve has written WTC 9/11. I can't think of another work in music whose sound immediately takes you back to where you were when you heard first heard the news of an unfathomable tragedy. Steve's focus and mastery leaves all of us sonically drenched in the events of Sept. 11, 2001. With those sounds and speech melodies and the ancient religious tradition of caring for the bodies of the dead until burial, he has found a way to remember and in some way to surmount the destruction. I feel that WTC 9/11 locates a small light in a vast dark tunnel. Once again Steve Reich has led the way. I had only hoped for a 'bookend' to Different Trains and what Steve gave us is an essential statement detailing through music our precarious, raw time.